Ian Duncan-Smith regularly claims to have overwhelming public support for his welfare reforms, which might well be true, but if it is these opinions have not been based on the full story. So of course you will elicit support if you just ask the following questions: Q: Do you want to reduce the overall cost of benefit payments through improved efficiency? A: Damned right I do. Q: Do you want to focus on those with the greatest need? A: Yes, they deserve it Q: Do you want to stop benefit fraud? A: As quickly as possible. Q: Do you want to wheedle out those lazy so-and-sos who just don’t want to work? A: Yes, it’s high time they pulled their weight. Q: Do you want to see more efficient DWP administration? A: What do you think? Q: Well we have a plan that will do all of this, so do you want us to implement it? A: With all possible speed! But there will be consequences, which even if not thought through initially, are more than apparent now. So an open & honest supplement to the above would be: Well, unfortunately the plan is a bit rough and ready so, Q: Are you happy that we will make tens of thousands of decision errors and stop benefit payments whilst they are sorted out by HMCTS at huge cost to the taxpayer? This will create many months of financial hardship for those affected. A: Hang on a minute; I don’t like the sound of this. Q: Do you mind that in thousands of cases these errors will directly result in people’s health deteriorating and quite a few will die. A: In that case, no sorry the plan is not good enough – think again! I wonder how much of the support would fall away if he just told the whole story and made it clear what “price” he regards as acceptable – just how many deaths does would it take for him to change his approach? He really should be made to address this matter or state clearly that he thinks it is irrelevant. The end DOES NOT always justify the means. Views over the rights and wrongs of capital punishment are mixed, but there is far greater consensus over the fact that the two risks of error are not even-sided – killing someone wrongly, albeit inadvertently wrongly, is totally unacceptable and if the consequence is that occasionally a guilty person slips through the net, so be it. So why is this view not mirrored with the Work Capability Assessment (#WCA) when it is well known that erroneous fit-for-work (FFW) decisions have been at least a contributing factor in the deaths of well over 1,000 people? Not once have successive Governments even undertaken a risk analysis (or so they tell us) to consider the consequences of a wrong FFW assessments, the only legitimate basis for which would be that they could demonstrate the risk was genuinely non-existent. They may have been unbelievably naive at the outset, but cannot fall back on this excuse after 4 years. They know of course that such an analysis would have to be published and they would be vilified for ignoring the results, so better not to do one at all. This in turn can only mean that they do not care, that the end justifies the means and that the collateral damage along the way, however severe, is the price “one” has to pay. NO Government has this remit, no matter how well mandated & democratic it claims to be. If the Goverment thinks this is an unfair summary of their position, they simply need to perform the risk analysis. There is no arguement for not doing so. One would have thought that prior to the WCA implementation a full risk assessment would have been undertaken and likewise for every major change to it since. It was not. There have been odd RAs since in odd areas, but they have all (deliberately?) omitted the greatest risk of all. Risk assessment and impact analysis sit side by side and one is looking for combinations of risk & impact that are high – they do not both individually need to be high. Amongst a variety of risks is the obvious risk of getting an assessment wrong (it will never be 100% accurate). However small the risk was perceived to be, the subsequent impact could be momentous – someone dies, so on any scale using any criteria or any management philosophy this possibility would appear high on the risk management matrix. The only theoretical situation where is would not be the case is where the risk of a wrong assessment could be genuinely judged as zero. Having comprehensively assessed the risk, good management practice would then evolve a plan to mitigate it, both in the sense of minimising both parameters ongoing, together with a contingency plan to ensure ‘failures’ are dealt with effectively. To do this one does of course need the appropriate information, most particularly the feedback on ‘failures’, so that causes can be identified and the process adapted to avoid repetition. This is simply learning from one’s mistakes which is apparently a cornerstone philosophy of both the DWP service charter and the Civil Service Code. In the private sector, this approach is regularly taken when there is just a few quid at stake let alone lives. However, not necessary here it seems. A person dying is bad enough, but the Government’s demonstrable lack of concern or interest is the real indictment and undoubtedly an unforgivable dereliction of duty. This is what they must answer for. The WCA Handbook consistently instructs HCPs to use an evidence-based approach, not to leave anything to chance and avoid ambiguity. This is obviously important to a DWP DM who has no formal medical training. Note the use of the word “potentially”, i.e. they do not need to make a definite recommendation, just suggest there is a possibility without even having to qualify it with “good”, “slight” etc. 1) Are they required to discuss the proposition openly with the individual during the WCA to make sure nothing relevant is overlooked? 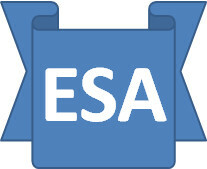 2) Are they required to state the recommendation clearly on the ESA85? Not being medically trained, it would of course not be possible to leave a DWP DM to draw their own conclusion. 3) What (if any) limitations are there on the aids they can consider – specifically, could they consider a powered mobility scooter? If not, why not? 4) If there are limitations, on what are they based? If there are no limitations and individual HCPs can act as they see fit, how do you ensure fairness & consistency? 6) Are all HCPs performing WCAs fully qualified to consider all of these factors relevant to wheelchair use, notably rehabilitation engineering, before making their recommendation? If they are so qualified, why can’t they make the recommendation openly in the best interests of the patient? 7) Can a DWP DM decide to award zero points for the mobility descriptor based on what might only be a remote and unproven possibility? 8) What steps must the DM take to eliminate the uncertainty left by the Atos DM? Please note that none of this information is contained within the WCA handbook. · knowing they are not adequately trained. · potentially without all of the relevant information available. This is followed by a DWP decision making process that can reach a conclusion that uses this assessment again without any prior discussion with the claimant or consideration of the consequences. It does not even declare what it has done, let alone provide the claimant with any help in pursuing the proposal. The ultimate dishonest insult is that Atos/DWP then admit that they are not able to prescribe treatment and deny that they have stated that a wheelchair would be in the person’s best interests when this is EXACTLY what they have done – they have categorically said that the person’s ability to get a job is better with a wheelchair than without one. Despite the significance of this conclusion there is no other information available within Atos or DWP that explains this series of contradictions or indicates it has ever been considered. This is clearly either a serious dereliction of duty, or a deliberate deception. · Your obligation under the Act to “publish certain information proactively”. As you can see, you are required to do somewhat more than rebuff a request just because it is awkward to answer, although in doing so, you do of course send a very clear message – we (DWP) know what we are doing isn’t right, but we are going to carry on doing it anyway even though it cheats some people out of their legitimate entitlement to ESA.